More than half of people attending hospital for eye damage caused by metal fragments from grinding and similar applications were not wearing safety glasses at the time of the accident, according to a study by The Centre for Eye Research Australia. The study, conducted in 2009 by Professor Rasik Vajpayee, looked at 100 patients over a two month period. 97 per cent of them were male. Vajpayee found there was an issue with personal protection equipment (PPE) compliance as well as with the design of some safety eyewear.“45 per cent of the injuries occurred while some form of eye protection was worn,” he said, suggesting this may have been due to the presence of gaps between the eyewear and the face. Work related eye injuries account for around 3500 emergency hospital visits each year in Victoria alone, the report said. Injuries can vary from infection to partial or permanent blindness. However many of these injuries are preventable with the correct use of safety eyewear specific to the application, meeting AS/NZS standards and bearing the “5 Ticks” logo. These mean the eyewear and manufacturing process has been rigorously tested and the lens is rated for hazards such as molten metal, chemical splash or heat resistance and low, medium or high impact resistance. According to ProChoice Safety Gear product development manager, Brad Rodgers, safety eyewear should be comfortable and not restrict vision or your ability to wear other PPE. “It comes down to your personal facial shape and preference,” he said. Rodgers said eye protection, and indeed any PPE , should be chosen based on the nature of potential hazards – whether flying particles or metal fragments, heat, molten metal, chemicals or optical radiation. “If there are chemicals, a lot of dust or people grinding, you need to move towards a heavy duty protection to ensure you have an excellent seal around your eyes,” he said. For applications such as dusty lawn mowing where goggles aren’t required Rodgers suggested the Ambush Foam sealed safety glasses. “They almost act as a goggle but are smaller and have a lower profile and still keep the debris particles out of the eyes,” he said. While fit is essential, quality vision – including fog and scratch prevention coatings are equally critical.“A lot of eye injuries actually happen from vision issues in specs. Guys think, ‘I’ll take them off just to do this task’ and an injury occurs,” Rodgers said, adding that alcohol free or low alcohol wipes should be used to preserve the coatings. It was with user-enhanced vision in mind that ProChoice developed the chemical splash rated Cyclone Goggle with spherical lens. Other considerations he suggested when choosing eye protection include whether you will be wearing them indoors or outdoors. 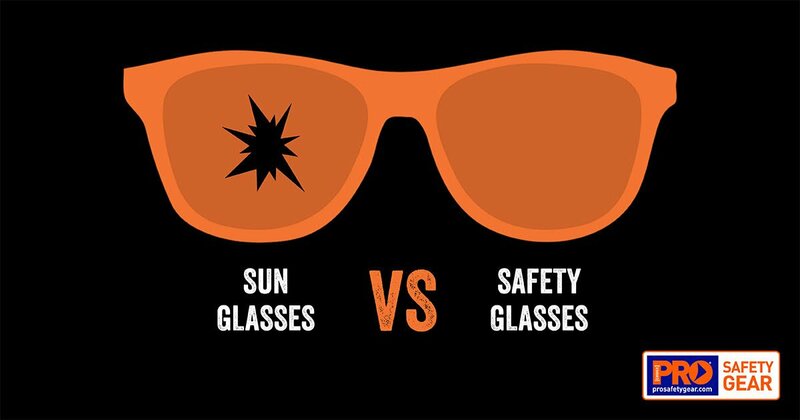 What are the best safety glasses for sun protection? Sunscreen – SPF 50+ vs 30+: What’s the difference? Hazards in Confined Spaces – How Aware of These are You?